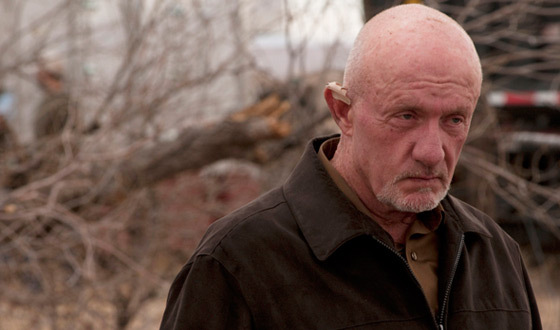 No doubt about it, Mike is the man, and I can’t think of a better actor to play him than Jonathan Banks. My early prediction was that this would come down to Walter and Jesse, but I underestimated the power of everyone’s favorite cleaner, Mike. He didn’t even enter the show until the second season, and he dominated this poll. On the downside, this poll had a pretty low turnout, and this means that more of you need to start watching Breaking Bad! Seriously, it’s quite possibly the best show currently on television. The first four seasons are available on Netflix Instant, and it wouldn’t take long at all to marathon them back-to-back. I guarantee you’ll be hooked after a few episodes. This Week’s Poll: Everyone by now has probably seen The Dark Knight Rises, and I imagine that most of you are also quite familiar with director Christopher Nolan’s filmography. The man has an impressive resume, to say the least, and I’m opening up this poll to include ALL of his directorial work. What do YOU think is his best film? Something from the Batman trilogy? Memento? Inception? The Prestige? Or perhaps even the underrated Insomnia or Following? This one should have some interesting results to be sure. No movie marathons this weekend. I was pretty busy for the most part but did manage to finally see The Dark Knight Rises on Friday night. It was worth the wait — a full review will be posted soon, likely tomorrow. The only other film I saw over the weekend was Earrings, the new short film from Alex Withrow, the creative genius over at And So It Begins… Alex has been documenting the filmmaking process over the past year, offering a behind-the-scenes glimpse at the man in action. The suspense had been building until the final release on Saturday, and the finished product is stunning. Check it out for yourself on his Vimeo page. I also played quite a bit of Dyad, the new psychedelic puzzler/racer for the PS3. I’m working on some of the trophy levels right now, and I should have a full review in the next few days. Keep an eye out for that! How about you guys? Did you make it to the theater this weekend? Catch any good movies or play any games at home? I’m one of the ppl who haven’t checked out Breaking Bad yet. I guess I should, after your positive propaganda 😉 Dyad seems to trippy for me, afraid I might get a seizure! Quite slow on my own side, played some good ol’ Portal 2 though, co-op, always great! Yeah, man, Breaking Bad is a must. 🙂 Dyad is trippy indeed, but it is quite addictive. Can’t say I have ever played anything like it. I still haven’t played Portal 2 myself. I need to fix that, especially since it is so cheap these days. Seems like it would be a fun game to co-op. Sounds good! I’ll try to pick it up soon. And yes, I will surely check out Breaking Bad when I’ll plan for some new shows to watch! Can’t tell you how happy I am for Mike to have won this poll!! “my guys are SOLID’ is a quote I use all the time now!! Man, Mike was on fire in the second episode this season. Still gotta see last night’s ep, but he is just so much fun to watch every time he’s on screen. A worthy winner. I too enjoyed watching Earrings this weekend. That’s about it for me. Although so far we’ve taken three days over Lawrence of Arabis, long but mesmerising. It’s great to see all of the support for Earrings. I’m still waiting for a good day where I can sit and watch Lawrence of Arabia in one sitting. Looks like a beautiful movie, but its length sure is intimidating. From the moment I pressed play I felt like I wanted to watch it all in one sitting and that it would be easy because as I said, it’s mesmerising. But when you put something on at 10pm thinking “i’ll just get to the intermission” you have to stick to it otherwise you’ll be awake til morning. So yeah, advice: sunday afternoons are made for epic hollywood. Yep, that movie has weekend afternoon written all over it. Been a while since I took in something that epic, but I’m looking forward to it. At first I thought my favorite might be Mike, but thinking on it, it’s probably a tie between him and Saul. Yeah, you can’t go wrong with Saul. It’s probably a tossup between those two for me as well. Mike is great… but I can’t ditch Walt. He’s the reason the show exists. Watching Walt’s decomposition is what makes the rest of that world go ’round. Excellent point. It’s amazing to compare Walt from the very first episode to what he is now. Basically a completely different person. I’ve been a Jonathan Banks fan since his brief walk on as a mental ward attendant to Dr. Emilio Lizardo (John Lithgow) in ‘Backaroo Banzai…’ Then as former Greenbelt, MD cop turned FBI agent, Frank McPike on ‘Wiseguy’ years ago. Incredible character actor from my neck of the woods in suburban MD. Oh cool, I didn’t know Banks was in Buckaroo Banzai. I haven’t actually seen that one myself, but I would like to someday. Just looking at its IMDB page, that’s an amazing cast. Looks like it could be a lot of fun.